New Delhi, March 27, 2017: JobsForHer (JFH), an online connecting portal for women looking to restart their careers, marks the end of its successful 2 years and the beginning of its buoyant 3rd year operations this month. On the occasion of turning 2, the JFH team successfully hosted a live chat session on Facebook with Neha Bagaria and her team, to answer queries on restarting careers for women. With a growing presence on social media, the portal is gathering steam and is all set to take on its third year head-on! In the past two years, it has not only offered potential candidates the choice to apply for jobs online but has also added resume-writing services, mentorship programs, returnship programs, as well as webinars and live chats. The portal has grown from strength to strength with its success clearly attributed to a dedicated staff of returnees. The company that started off with a power-packed team of 5 women returnees, is now an energetic 31 member team of restarters, ready to take on the world. In the past two years the team has managed to successfully associate with renowned blue chip companies like Intuit, Sapient, PayPal, Mindtree etc. for their returnee programs. 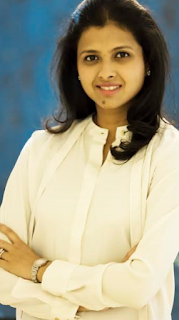 Elaborating on what spurred the idea of JobsForHer, its Founder Neha Bagaria said, “I found out that 50% of all working women in India drop out of the workforce within 3 years. This is an extremely qualified, experienced and capable talent pool that our economy cannot afford to lose out on. My own experience in getting back to work after taking a 3.6-year of career break was so positive that it made me determined to enable other women to restart their careers as well. Thus, I founded JobsForHer in March 2015, to connect women with all that they required in order to get back to work and achieve their full potential.” A study by UNDP shows that India’s GDP can grow by 27%, if female participation matched males. Over the last 2 years, JFH found that 57% of women returnees are looking at restarting their careers on a full-time basis and 22% through work-from-home opportunities. In its 3rd year, JFH is committed to doing everything necessary to enable women to restart their careers and plans to expand its reach, size, and scale up its offerings, to create a larger impact. They plan to partner with more returnee-friendly companies across India to open up their doors to women looking to restart their careers; as well as offer mentorship, networking, inspiration, and career resources to women to help them bridge the gap that is keeping them from embarking on the second phase of their careers. Additionally, it also intends to maintain its 10 times growth this fiscal year as well. JobsForHer is an online connecting portal that enables women on a professional break to restart their careers. Its vision is to reverse female brain-drain from within the Indian workforce by facilitating various opportunities ranging from jobs to mentorship for women who are on sabbatical, and help them reconnect with their careers. The dynamic venture works on a freemium model, through which companies are welcome to post job openings for free on its platform and women can apply to them for free.